Praying hands with a bike chain instead of beads,my design. Last edited by billyt3b; 07-29-2010 at 01:54 PM. Last edited by billyt3b; 07-29-2010 at 01:59 PM. 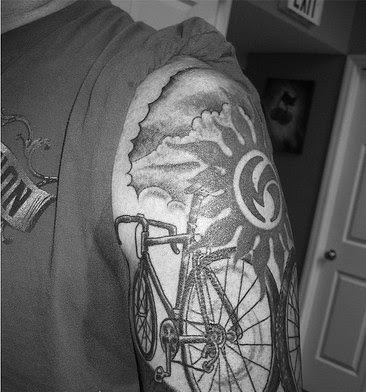 Not done Yet., but ill post it up! 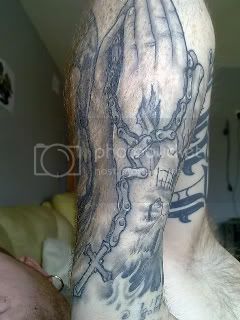 &Im Diggin the Chain Rosary too! if your ever in ohio make an appt. 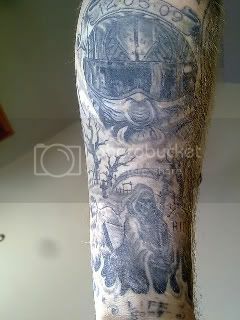 This tattoo is mostly preferred by school boys .